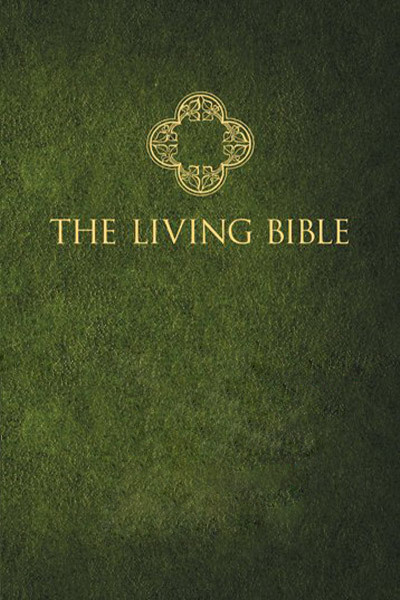 The Living Bible is Kenneth Taylor's interpretive paraphrase of the Bible. Taylor created this paraphrase as a help for those who wanted to read the Bible to children without having to stop and explain many things. In a 1979 interview published in Christianity Today he explained that the version began in the context of his efforts to explain the biblical text to his own children during family devotions. Kenneth Taylor (1917-2005) was a Baptist layman employed by Moody Press, the publishing house of the Moody Bible Institute in Chicago. Tyndale House Publishers was founded by Taylor for the purpose of publishing his paraphrase, beginning with the Epistles as Living Letters in 1962. In the following year the evangelist Billy Graham offered Taylor's paraphrase as a television premium on broadcasts of his popular "Crusades," and this brought the book into prominence. Taylor proceeded to paraphrase the entire New Testament (published in 1967), and then the Old Testament (1971). Many thousands of copies were distributed at Graham's crusades, and it became a widely used Bible, marketed as a version for adults.